Go to slide, "Checkout the Latest Future Prices"
Go to slide, "You love your horse." Go to slide, "Hard work & dedication. " Go to slide, "Thinking of Chickens?" Products to keep him healthy and happy. It’s what winners put into their show projects. Reasons to have a backyard flock. Don't forget to keep up with us on Facebook! Visit our page and be sure to "Like" it to stay up-to-date on all we have going on! To learn more about cattle supplements that allow rumen microbes to flourish, like Accuration® or the Purina® All Seasons™ Cattle Nutrition Program, visit purinamills.com/cattle. 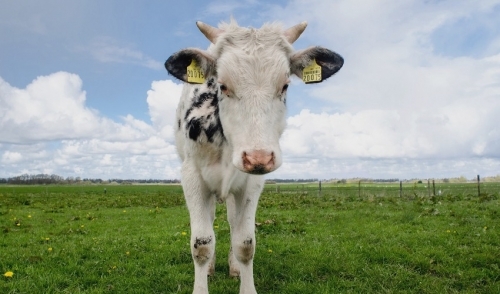 You might wonder, what do microbes in the rumen of cows do? Or you may not have given thought to them at all. But, rumen microbes or “bugs” inside a cow’s stomach have a significant impact on how a cow digests forage. "Working Cowboys and Cattle" The day in the life of a cowboy at Three Trees Ranch. A visit to a cow-calf operation in Tennessee to see the nutrition strategies one family is using to get their calves off to a great start. The calves off with using Purina products to help get their calves off to great starts. 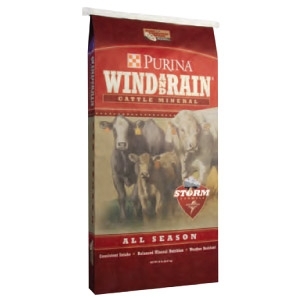 No Storm is too powerful for Purina's New Wind and Rain® Storm™ Minerals. It's a Difference You Can See™ with the ultimate weather resistance, providing even more protection from weather than our previous Wind and Rain® Minerals. 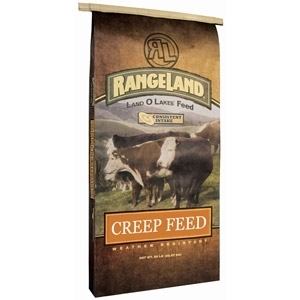 That means more mineral in the feeder and more mineral available to your cattle. And that's what counts. Available in specific regions. 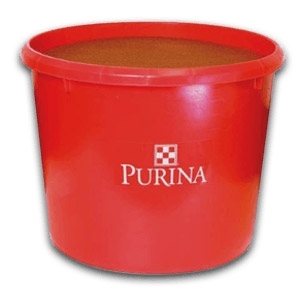 Learn more about the tips Purina Animal Nutrition recommends to get your calves off to a great start as part of the Great Starts® Cattle Feeding Program. STORM® formulation technology resists water, but not digestion. Rod Nulik of Purina Animal Nutrition demonstrates how Wind & Rain® Storm® formula mineral improves water resistance and maintains a more effective product for your beef cattle. Sustained® Nutrition is 12-month cow care program using Intake Modifying Technology® Feeding System. Understand why consistent, effective cow nutrition ensures greater reproductive results, fetal development and better performance in your beef calf crop. Sustained Nutrition increases your bottom line for generations to come. © 2019 Roughrider Feeds. All rights reserved.